The temperature may be dropping, but don't expect mosquitoes to drop like flies along with them. 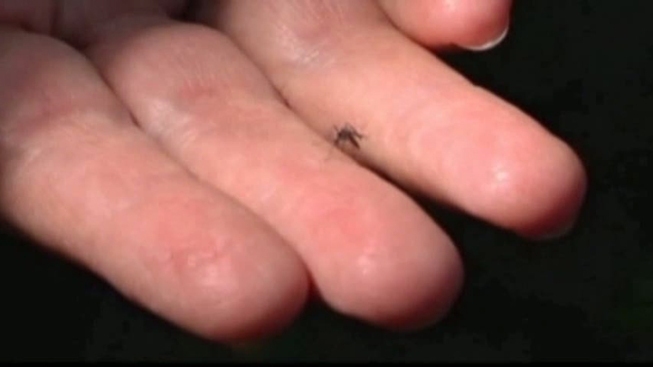 Experts say that even biting cold won't stop mosquitoes from biting back -- and spreading West Nile virus. "A freeze will slow them down, but it doesn't do away with them," said David Jefferson, manager of the Tarrant County health department's Environmental Health division. Pete Esqueda of Arrow Exterminators in Addison agreed. "If they can, they'll burrow themselves down into the ground," he said. "They'll sit there and just kind of slow their metabolism down [and] wait. Once it gets warm enough, they shoot off." Many mosquitoes will die off in cold weather. But many others survive, mostly female mosquitoes, ready to get back to biting whenever temperatures rise. "Just like us, once it gets nice weather, we all come rushing outside, go to the lake," Esqueda said. "These things just come out, and they look for the first thing they can find, which is a blood meal." Spray trucks stopped running many weeks ago, but the need to protect yourself from West Nile virus still exists. "If it's warm -- we have several warm days -- [it] wouldn't hurt to remember to use DEET as a repellent and still, always, always, all year round, get rid of the standing water," Jefferson said. Mosquitoes that survive the cold are the ones smart enough to hang out near houses and other buildings, where it's always a bit warmer and easier to find someone to bite.